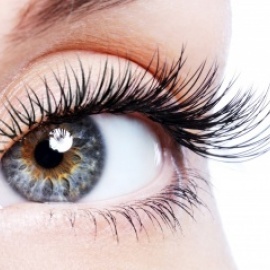 Eyelash Extensions is a practice that enhances the length, thickness and fullness of natural eyelashes. The extensions may consist of silk, mink, synthetic hair, or human hair. The main method of applying eyelash extensions is individually (one-by-one). False eyelashes and eyelash extensions are not the same. Eyelash extensions must be applied one by one to avoid having them stick together. If you’re in pursuit of longer, fuller lashes, lash extensions are for you. Lash extensions come in various materials, so you can choose which works best for you. Eyelash extensions can transform thin, fine eyelashes into lashes that are voluminous, long, and fluttery. For best results, we’ll help you choose the best eyelashes for your eye and face shape. Call Imperial Salon and Spa today to schedule an appointment!